Gift Ideas for Your Cat - You don't want to miss these! Let’s face it, apart from cute, our cats are vital parts of our lives and it is with that in mind that we have compiled a list of gift ideas* for your favourite pet. Below you will find some gift ideas for your cat . This item will automatically remove waste into a concealed area for you so that you will not have to do it yourself. Pros: Good reviews, you will not have to get your hands dirty, good for someone who has difficulty in cleaning the litter tray due to bending and lifting, odourless, you can finally go away on holiday without feeling bad for the cat-sitter. Cons: Refills can be expensive, must be changed every ten days. Encourage your cat to stay healthy by drinking more. Pros: Healthy play as the fountain encourages your cats to keep hydrated while entertaining them. Cons: Filters must be replaced periodically. Feeding solution for your cats. Pros: Works with your cat’s microchip, stops other pets from eating your cat’s food. Cons: Cat must be microchipped. This very large 8-piece play circuit could well be the ultimate exercise stimulator. Cons: Your cat might need stimulation to use it. Stimulating toy for cleaver and inquisitive cats. Pros: Good idea for idle little paws. Cons: Might not be suitable if your cat doesn’t like working hard for treats. Pros: Does not require much space, mounts on most doors, waterproof fabric, folds down for easy removal and storage. Cons: Might not be suitable for wider doors. Pros: Established brand, advanced Wi-Fi camera for monitoring capable of treating your cat remotely. It allows you to interact with your cat remotely using your smartphone. Includes advanced treat flinging, gaming and camera capabilities. Cons: Requires setting up, might not work with certain types of treats. *Although we don’t endorse the products above we still offer honest reviews or even endorse quality products (subject to approval). 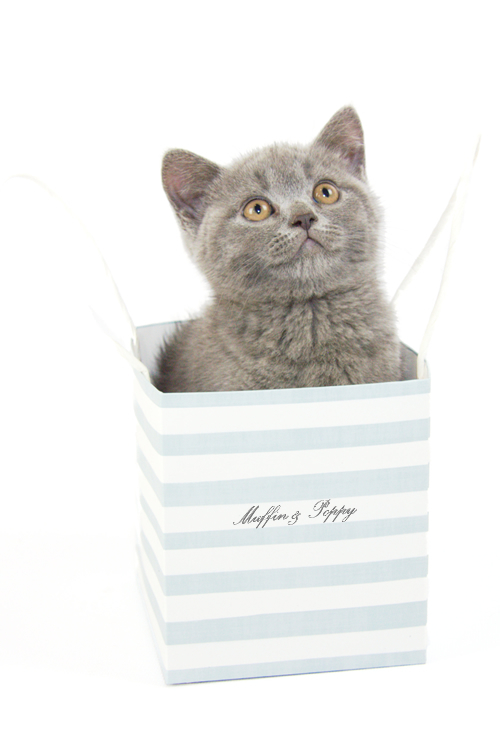 Please contact us if you would like Muffin & Poppy to review or endorse your product.